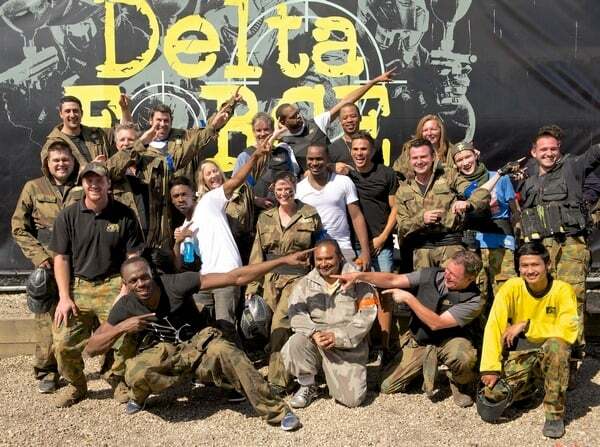 Usain Bolt Chooses Delta Force Paintball Yet Again! Earlier this month Usain Bolt – the world’s fastest man, decided once again to choose Delta Force for another day of paintballing fun. Having previously dominated our paintball game zones in 2012 he decided to bring along his Aussie sprinter friend John Steffensesn and four other Jamaican companions to showcase his skills on the battlefield. Swapping his track suit for a combat suit and protective goggles, Bolt looked every bit the paintball veteran with his armoured gloves, body armour, special operations tactical vest and well practiced game face. Nothing was going to stand in the way of this Olympian, not even the excited opposing team of corporate players whose team building day had turned into a one of a kind celebrity experience. Over the course of the day Bolt lived up to his down to earth and friendly reputation, even commenting that “I’ve never seen a centre like this, we don’t get paintball like this in Jamaica”. Bolt even demonstrated his sense of humour whilst chatting with Operations Director Seamus Fraser who remarked that “I passed him (Bolt) a standard sized groin guard and he just laughed and asked for a larger one”. You can see Bolt in action in our YouTube video that he kindly allowed us to film and share. The video shows Bolt and his team enjoying the Checkpoint Charlie game zone, which features a downed aircraft and a realistic battlefield complete with sandbags, missile launchers and armoured areas for cover. As ever, our staff prided themselves on delivering top notch customer service and worked hard to ensure the world’s favourite track legend left with a smile on his face and great memories of his paintballing experience. Bolt even decided to keep his special operations tactical vest, ready for his next experience with Delta Force Paintball! 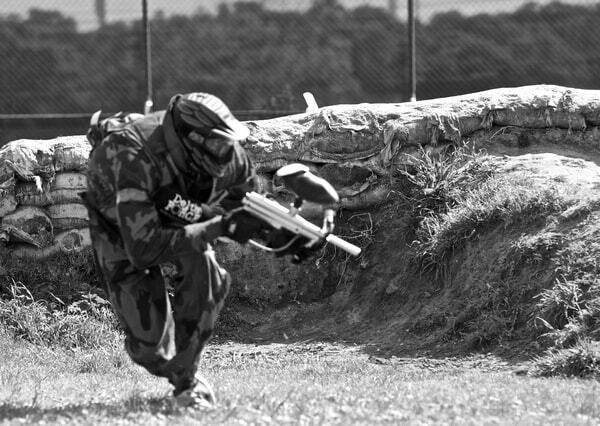 Clearly you can never be too sure who you might meet at one of our paintball centres. 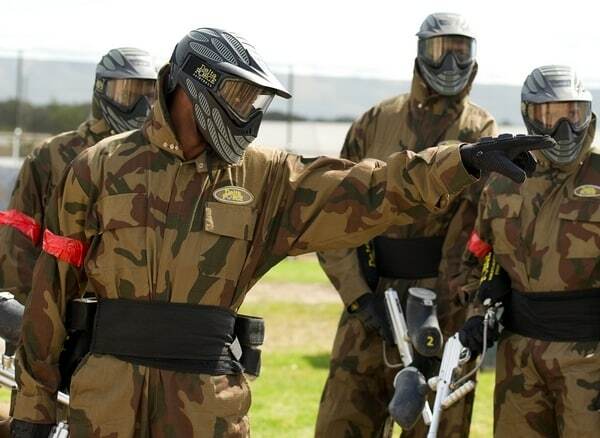 Book a paintball experience today by calling 0203 869 9301 – 24 hours a day.